Happy Monday all! 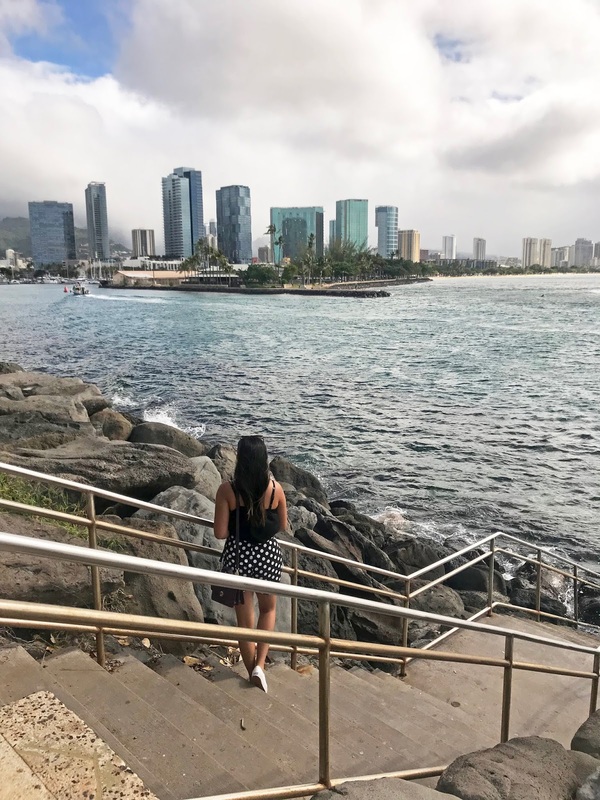 Sorry I have been MIA lately - between traveling, blogging events and freelance work; it's been a whirlwind of a past few months. I am so overdue with sharing posts it's not even funny. Anyway, I will do my best in the next few weeks to be more consistent with my blog in general. If you aren't following me on Instagram though, you should - that is where all my content is mainly consistently posted. Anyhoo - if you have been following me lately, you probably know it's no secret that my obsession with ruffles is so real. I have way too many ruffled things in my closet, I should probably change it up a bit.. lol. Today, I am really going all out in ruffles -- I honestly never thought I would ever wear these ruffled pants, until I found the perfect top to pair it with! Are you obsessed with this look as much as I am? As if the look isn't a bit extra; I paired it with my absolutely favorite snake-skin booties, a faux fur bag (so soft!! 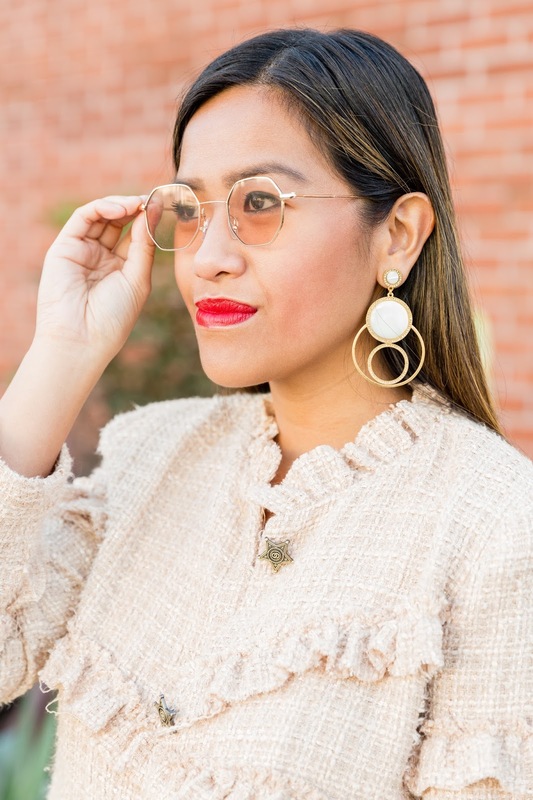 ), funky (yet classy) earrings and fun, see-through colored lenses -- talk about taking a risk; but to my surprise they all just went together, don't you think? What I love most about blogging is being able to share with you my unique / creative looks I put together! Fashion is limitless; you should never be afraid to be different and most importantly have fun!